The Association supports events at the sites, and through its contacts with other local historic groups also supports multi-site events and programs that contribute to the understanding of the sites in the larger context of the history of their period. 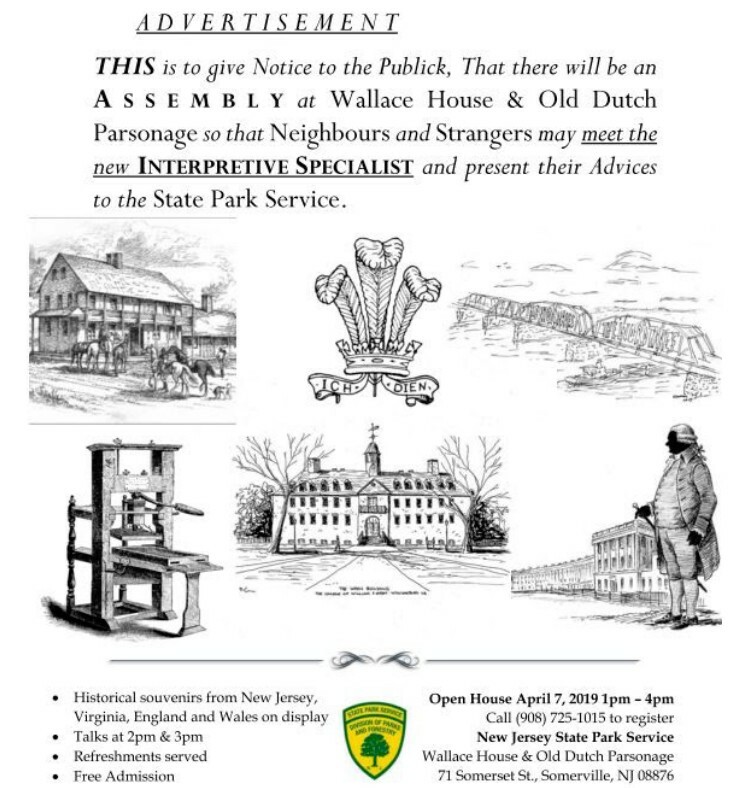 We welcome Paul Soltis as the new Interpretive Specialist, New Jersey State Park Service, for the Wallace House & Old Dutch Parsonage state historic sites. Paul is a graduate of William & Mary College where he studied English literature and American history, right in Colonial Williamsburg's backyard. In addition, Paul studied in Bath, England and worked in the National Assembly for Wales. He comes to the Wallace House and Old Dutch Parsonage having served as an historic educator at Rockingham, George Washington's other Somerset County headquarters. 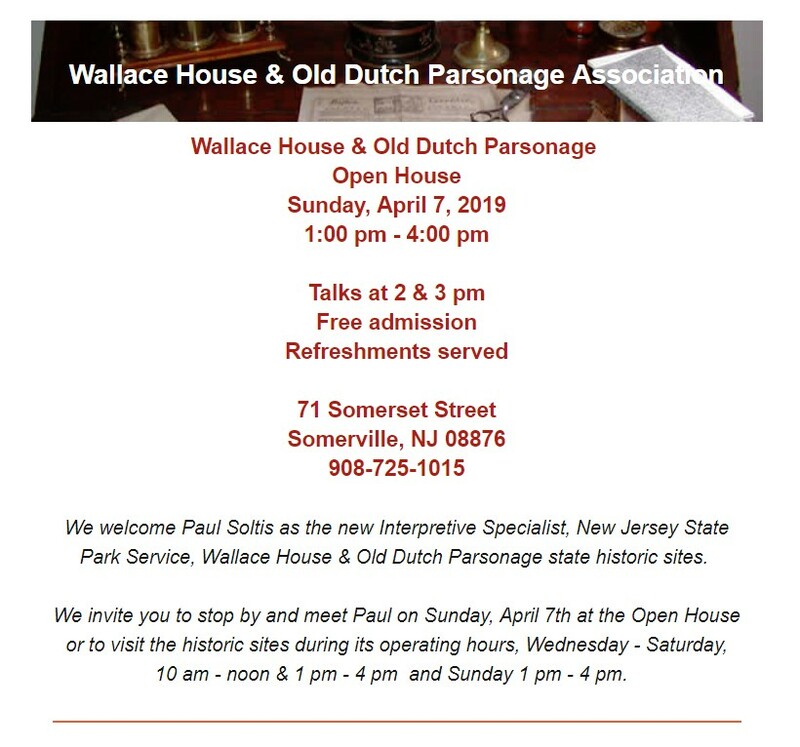 We invite you to stop by and welcome Paul to Somerville and Somerset County on Sunday, April 7th or to visit the historic sites Wednesday - Saturday, 10 am - noon, 1 pm - 4pm and Sunday 1 pm - 4 pm.